EXFO introduced its FTB-88100NGE Power Blazer Multiservice Test Module for 40G/100G field testing. The new unite supports 10M-to-100G rates in a single module and covers a wide range of technologies, including SONET/SDH, OTN and Ethernet. The FTB-88100NGE Power Blazer features remote management, battery operation and integrated optical tools. 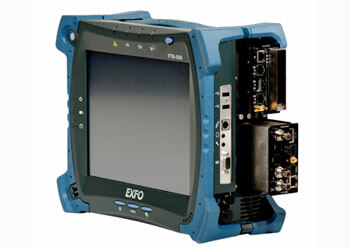 Carriers can combine the FTB-88100NGE with EXFO's optical modules, such as an optical spectrum analyzer. It is compatible with EXFO Connect, so users can benefit from EXFO's cloud-based services, including centralized management of test units and data.